There are several popular meme’s making the rounds on social media, saying that a cure for cancer has been found, but is suppressed because….money. Of course, the idea that someone would withhold a cure for anything, even the common cold, simply to make money is reprehensible to everyone. Strong feelings cause people to stop thinking, however, and blindly follow whatever is popular and easy to understand, even if it’s wrong. Let’s take a look at the top reasons why those “cancer conspiracies” don’t work. To believe in the hidden conspiracy, you would have to agree that researchers and those who “know the cure” are willing to let their family members, friends, and others die because of money. To do this, you would have to believe that an entire company or group of scientists have all vowed to not release this information so others can make money off of chemo and surgery. It’s simply not human nature and it’s simply not possible. If a single scientist, or a group of researchers, were to discover a cure, they would not only be rich, but they would be famous for all eternity! 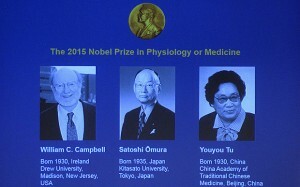 Think of Louis Pasteur and Jonas Salk, people who didn’t find a cure for cancer, but helped to stop disease. Everyone knows their names! The researchers who discovered the cure would get far more money than their salary, including a Nobel Prize, schools and buildings named after you, and a legacy beyond compare. Do you honestly think someone would give all that up so a chemo company could make some shareholders happy? Think the Fed’s Are In on It? 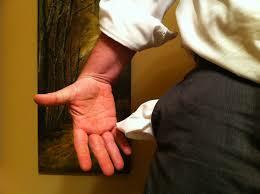 Governments with socialized medicine would drastically cut costs. Why should they sit by and struggle for money while other nations get rich off of the chemo and surgery route? They would literally have to kill everyone who knows about the cure. If you knew, but were paid to keep it quiet, and found out your mother, husband, sister, etc., had cancer – would you sit by and watch them suffer? What Profit Would Insurance Companies Get from This? If anyone with an internet connection can Google the “cure”, then why wouldn’t insurance agencies, who often pay millions of dollars per person for cancer treatment, want to get to the bottom of this? They aren’t going to spend one dime on you that they don’t have to. If there was a conspiracy somewhere, they would find it. If you are assuming that releasing a “cure” would somehow destroy pharmaceutical companies, think again. There are plenty of companies that would investigate the findings, check out research, and do all kinds of things to try to find a mistake, so they could come up with their own version of the “cure”. Even if you think that the cure is “natural” and that there is no money for pharmaceutical companies, they would have no trouble marketing their brand of “whatever”. They would make beautiful boxes of, let’s say, Cancer Curing Dandelion Tea.” The marketing potential alone would be astronomically profitable. Some company would be sure to research how mixing dandelion with other elements, such as cinnamon, would somehow be better for you. Companies already do this sort of thing with orange juice. What makes you think they wouldn’t do it with a “natural” cure and make money? The truth is that, when faced with the ugly consequences of cancer, people become desperate and seek out something, or someone, to blame. 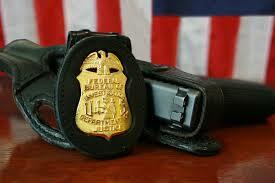 Very few people like or trust big companies, believing they got there through theft or deceit. When it comes to cancer, you should trust your doctors that they are doing whatever medical treatment has been deemed to be the best for your situation. There really is no such thing as big pharma conspiracy, folks, no matter what Facebook or Twitter might say. Want to Increase or Decrease Your Risk of Cancer? We Have Answers! The big C – it’s a word no one wants to hear and everyone is trying to avoid. People seem to fall into two categories; those who believe there is nothing they can do about it and those who think that everything causes cancer and if they try hard, they will avoid it. The truth is somewhere in the middle. No matter how healthy a diet you eat, no matter how much exercise you get, sometimes your genes determine whether or not you will get cancer. This doesn’t mean that you should throw up your hands and say “To hell with it”, however. There are plenty of things you can do to try to prevent cancer. Today, we are going to take a look at the top things that either increase your risk of developing cancer or decrease that risk. While you can’t do anything about your genes, there are other things that are completely within your control. While some of the above are no brainers that you’ve heard a million times before, some might be a little more shocking. We have provided scientific links to each one of these for more information. By the way, let’s not forget that it’s the dose that makes the poison. 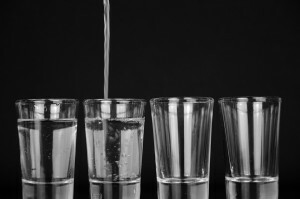 Even water can kill you if you drink too much. So if you decide to skip the gym on the weekend of your birthday to be a couch potato, that’s fine. However, if you decided to continue smoking because it’s just too hard to quit, you should prepare yourself for some serious hurt later on in life. Eat more fruits and veggies. Lots more. Especially dark, lefty greens (like spinach) and colorful produce like red cabbage and yellow bell peppers. Limit alcohol to no more than 1 drink per day or less. Limit red meat to no more 500 grams a week. Chicken and fish are fine. Filter your tap water and take a bottle with you. Stop topping off your gas tank. When it clicks off, leave it! Drink several cups (3 to 5) of Joe every day unless your doctor has told you not to. Wear sunscreen. Don’t forget a hat. Get 1200 mgs of calcium each day, but not more than that. Avoid trans fats, such as margarine, shortening, and snack foods. Use more plant based oils such as coconut oil, olive oil, and butter. Keep in mind that there are really no benefits in eating organic. Both use pesticides that need to be washed off before consumption. GMO’s have still not been shown to cause cancer or any other health problems. Bitter Almonds and Cancer: Here is the Bitter Truth of It. Have you seen this meme on your favorite social media site lately? 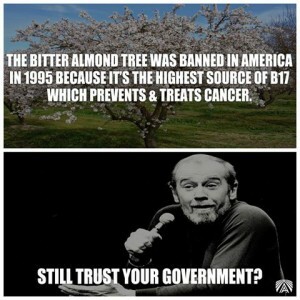 It implies that the US government outlawed bitter almonds, and the tree, because they know that the almonds are a good source of B17, which is “known” to kill cancer. What do you think of this? Do you think this is true? Does this sound like a huge pile of woo? We are going to look at the link between bitter almonds, B17, and cancer, so we can find out what the bitter truth is. First, What Exactly Are Bitter Almonds? There are two types of almond trees in the world, bitter and sweet. Sweet almonds, often simply referred to as just “almonds”, are the kind you find in your food, candy, and everyday nut jars. These are grown in many places in the US, and are a favorite snack for many people. However, bitter almonds are pretty much what the name implies. They have a bitter aftertaste , but otherwise look like almonds. These almonds, however, are extremely high in cyanide. Yes, you read that correctly, cyanide. In fact, just 7 or 8 almonds can kill a child, and a handful of 20 or so can kill an adult. These are no joke. So Why Did the US Ban Them? They didn’t. Bitter almond trees are beautiful and are used as ornamental trees in many locations, especially in and around California. 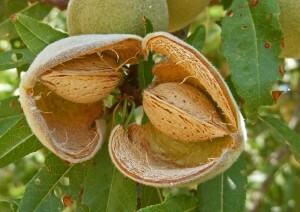 Bitter almond products are what cannot be sold in the US, unless they have gone through an extensive refining process which removes the cyanide. The FDA has also banned any product containing bitter almonds that claim to be “cancer cures”. Vitamin B17 is a naturally occurring substance found in the pits or seeds of some fruits, including apple seeds and apricot pits, as well as bitter almond. 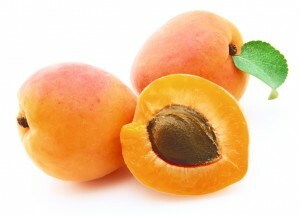 The registered patent for B17 uses the trade name Laetrile. It was founded in 1830 by a pair of French chemists and tried out as an anticancer agent in Germany as far back as 1892. It was found to be ineffective and extremely toxic. ( Which is a nice way of saying people died from the treatment). In the early 1950’s, a doctor, Ernst Krebs and his son, Ernst Jr., began to try a new “purified” form of laetrile to treat cancer patients. It didn’t work. Over the years, Laetrile has been touted by many snake oil salespeople as a “cure” for cancer, but there has never been one study, or even one person, who has showed scientific proof that laetrile has done anything but clean out their bank accounts. In the early 1970’s, a man from Kansas, who had been diagnosed with a polyp in his colon, decided against surgery and instead had his doctor burn off the polyp. He then consumed vitamins and Laetrile. This seed salesman from Kansas then became convinced that Laetrile had “cured” his cancer, even though the polyp had been successfully removed by his doctor. This is what began the real “Laetrile” movement. This gentleman, named Glen Rutherford, petitioned the court saying that laetrile should be sold to terminal cancer patients and bypass FDA rulings. Because the court denied Mr. Rutherfords request, people began believing that the government was “holding out” on a cancer cure. There were several cases of people dying after receiving laetrile in Mexico. Josef Hofbauer – This 9 year old had Hodgkin’s disease. With chemotherapy, this type of cancer has a 95% 5 year survival rate. His parents rejected all treatments and gave their son laetrile. He died two years afterwards. Chad Green – He was only 2 and had been diagnosed with leukemia. He underwent traditional chemotherapy and the disease went into remission very quickly, however, his parents heard about laetrile and decided to discontinue chemotherapy. Chad quickly developed signs of cyanide poisoning and doctors petitioned the courts to remove Chad from his parents’ care. They fled to Mexico to continue treatment, where Chad died within a few months due to cyanide poisoning. Steve McQueen– This famous actor had lung cancer and was told by doctors in America that there was nothing they could do for him at the time (1980) also went to Mexico for coffee enemas and laetrile treatments for three months. He claimed he was “cured” but developed metastasis and had developed a cancerous tumor on his liver, abdomen, and neck within months. McQueen again returned to Mexico to have the tumors removed, despite doctors in the US telling him that the cyanide he had taken had weakened his heart and that he would not survive an operation. He died on the operating table. After Steve McQueens death, laetrile quietly went away. Until social media sites and young people, who missed all the hoopla in the 70’s and 80’s, brought it back to life and gave it a conspiracy theory twist. The development of many types of cancer is a multi-staged process involving cell mutation, our DNA, and the mutation of genes, along with the malfunction of the body’s natural repair system, and the immune’s system either inability to correct the problem or to recognize the problem in the first place. 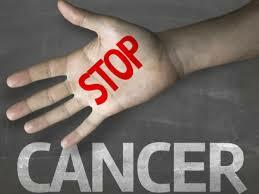 This means that chances are that there will not be a single food, drug, or process that will stop or cure cancer. There are many different types of cancer, not only the body part that is affected. You can bet that it will be science that finally figures out a cure. Oh, and the old “there is no money in a cure”, simply isn’t true. Scientists, their families, friends, billionaires, and important political figures in this world still die from cancer. Don’t you think that if you knew the cure for cancer, even if you were paid to suppress it, you would at least give it to your mother? Father? Children? Spouse? 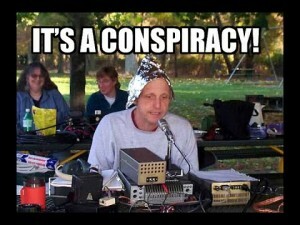 And if there was a cure, as many conspiracy theorists claim, wouldn’t insurance companies want to know about it? Why would they continue to pay millions of dollars for treatments if a natural cure could be found online with simple research? 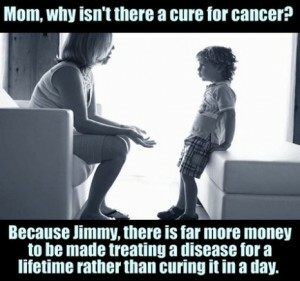 Companies would make tons of money from a cure or treatment, make no doubt about it. Imagine if you were a scientist working for Big Pharma. You would win the Nobel Prize for certain, your name and the company name would go down in history, and you would have a patent that would net you BILLIONS for YEARS! Hiding a cure would be next to impossible and would cost far more than what is being spent on cancer research and treatments now. So don’t believe the hype. Bitter almond/marijuana/some natural plant is not a cure for cancer and is not being kept secret by Big Pharma. If you are one of the millions of American’s who regularly indulge in a little Mexican agriculture, then we probably don’t need to tell you the many benefits of toking up. However, there are still millions of American’s who really don’t have a clue about the “Devil’s Lettuce”, AKA, marijuana. There is perhaps no plant on this earth (with the exception of poppies) that has been more condemned than marijuana. 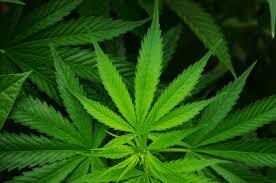 This is a plant that governments all over the world have tried to control, outlaw, and criminalize, but to no avail. Why? Because you can’t keep a good thing hidden forever. Despite the fact that NEVER, in the history of the world, has anyone ever died from an overdose, been injured or gotten a disease from excessive consumption of this plant, it remains a controversial subject, especially by those who have never indulged. 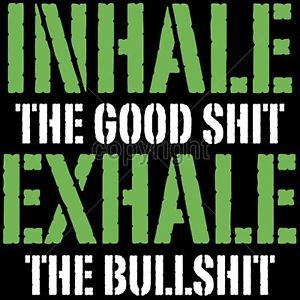 Cannabis is one of the most healing plants on our good earth. Dozens of studies have found that it can do everything from lower blood pressure to suppress cancer. For those of you who want scientific proof that cannabis is a good thing, we are going to spell it out for you. For those who love their evening blunts and want to know what else cannabis can do for you – we are going to list the top 10 scientifically known health benefits. Let’s start off with the big C; cancer. Everyone is looking for ways to avoid it, prevent it, and cure it. While there haven’t been enough studies to show that marijuana can “cure” cancer, there are studies which have found that cannabis can inhibit the growth of tumors in lab animals. Other studies, done in vitro, show it kill cancer cells in a petri dish, but then again, so does just about any substance. While men may not fully understand this, women who suffer from premenstrual syndrome will be buying new bongs or papers once they hear this; studies show that cannabis can ease the cramps, pain, headaches, and mood swings that PMS brings each month. 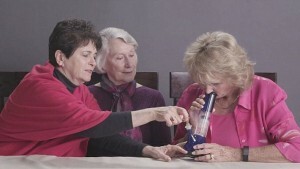 Using marijuana to ease the discomfort most women experience during their period goes back to Queen Victoria. It’s been used for centuries to help with the pain of child birth, migraines, and more. Many people enjoy a good laugh at the expense of those who suffer from Tourette’s, but this neurological condition is no joke. This disease causes uncontrollable facial tics, grimaces, shouting, snorting, and grunting noises, which makes public appearances anything but comfortable. The Hanover Medical College in Germany found that Tourett’s subjects who consumed a cannabinol extract had a significant reduction in their symptoms within minutes. Just one dose lasted for several hours when compared to the placebo group. One study, published in the British Journal of Pharmacology, found that regular consumption of marijuana could prevent the onset of many neurological diseases such as Parkinson’s, Alzheimer’s, and Huntington’s disease. The main culprits when it comes to these type of brain diseases are oxidative stress, intro-cellualr dysfunction and chronic inflammation of the brain. THC and cannabinoids reduce inflammation in the brain, protect cells from oxidative damage, and encourage the health of brain cells on several levels. There is a definite need for more studies, but since there is no harm in consuming even large amounts of marijuana, it can’t hurt and appears that it will help. This is perhaps one of the most commonly known medical uses for marijuana. Cannabis definitely has a relaxing effect on the brain and body. The antispasmodic properties of this plant have been proven, not only in studies, but in real life scenarios, all over social media sites, as well as the internet. The very basis of IBS (irritable bowel syndrome) and Crohn’s disease is a relentless inflammation of the colon and stomach, along with uncontrollable spasms. As with Alzheimer’s disease, cannabis brings the hammer down on inflammation and is a natural antispasmodic. While pot may not cure these debilitating diseases, they can make life almost normal again. One study found a full 45 percent of those suffering from Crohn’s disease had complete remission after just 8 weeks of smoking 2 blunts a day. While migraines have been around for centuries, the cause has eluded scientists for just as long. 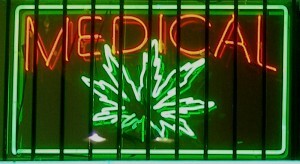 Since medical marijuana was legalized in California, doctors have stated that they have successfully treated almost half a million cases that conventional medicines were unable to treat. That, friends, is the power of this one tiny plant! Ritalin might just be on the way out if a few more studies can back up a study done at USC, which found that marijuana eased the symptoms of ADD and ADHD far better than Ritalin, without the harmful side effects. If your child suffers from ADHD, speak to your doctor about medical marijuana as a safer alternative. Again, this isn’t a cure, but 11 studies to date have shown that many people have found relief from the symptoms of multiple sclerosis via cannabis. 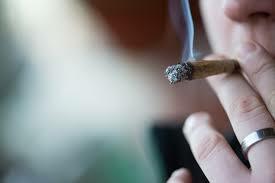 Subjects reported less pain, relief from muscle stiffness, and fewer spasms after smoking marijuana. Talk show host Montel Williams has been very outspoken about his love for marijuana and how it helped him live an almost normal life after being diagnosed with MS. Along with seizures, this is perhaps one of the most documented uses for medical marijuana. Glaucoma causes extreme pressure in the eye, which can lead to blindness if not treated promptly. Cannabis relieves the pressure instantly, which can literally save your eyesight. Studies‘ regarding this go back as far as the 1970’s and has been highly documented. 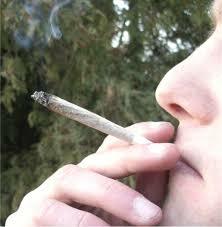 There has not been a single study or case where marijuana failed to help a patient suffering from glaucoma. Keep in mind that while marijuana might not be a “cure all”, it certainly doesn’t hurt anyone or anything. This plant needs to be removed immediately from the Schedule 1 drug list so it can be properly studied, researched and its benefits available to everyone. By now, you have surely seen the claims about the alkaline diet. Or at least you have seen meme’s talking about how cancer cannot live in an alkaline environment, how it thrives in an acidic one, and how eating the right foods can change your blood and body into a more alkaline (therefore hostile to cancer) environment. Keep in mind, friends, that meme’s are not facts. In fact, have you ever seen any actual data, scientific data, to back up any of these claims? No, David Wolfe is an entertainer and salesperson; he is not a doctor, so he doesn’t count. 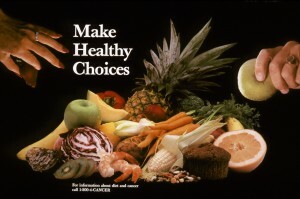 It’s not a diet as in causing you to lose weight type of diet, but rather, an anti-cancer eating plan. Eating foods that are “acidic” (and this has nothing to do with their actual pH balance), such as meat, dairy, grains, eggs, and poultry, leave your body in a higher acidic state, therefore, more vulnerable to cancer and disease. Foods that are called alkaline would be fruits, nuts, vegetables, and beans. These are foods thought to somehow change your blood and body tissue into a more alkaline pH, thereby avoiding cancer and/or other types of disease. What is a Normal pH level? Before we go any further, let’s talk about what pH is and what is considered normal. 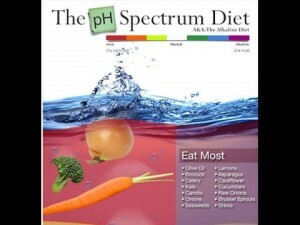 In simple terms, pH is the measure of how acidic or alkaline something is. The pH scale runs from 0 to 14 with anything measuring between 0 and 7 being acidic, 7 is neutral, and 7 to 14 is alkaline. The pH of the body varies tremendously. There is not real “normal” level, unless you want to get specific. Your stomach, for example, filled with hydrochloric acid, is somewhere between 2 and 3.5 on the pH scale. This is necessary for the digestion of food. 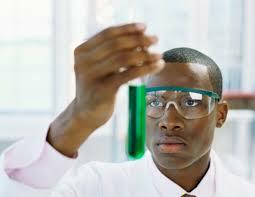 The blood, however, is always slightly alkaline by nature, somewhere in the area of 7.35 and 7.45. What you are not told is that the pH of the blood, if it should fall out of its normal range is dangerous and, usually, deadly. Nothing you eat will change the pH of your blood. NOTHING. Your body works very hard to regulate the pH of your blood for your very survival! Only the extremely ill and dying have overly alkaline or overly acidic blood pH. THAT is a fact. But What About the Urine Test? The proponents of the alkaline diet tell you that you can check just how “alkaline” your blood or body is by using pH test strips that you put in your urine. 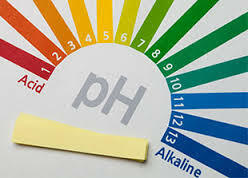 A more alkaline reading means you are “healthier”. Remember that for your own survival, your body closely monitors the pH of your blood so you can stay alive. To make sure this happens; your body has several very effective mechanisms that watch the pH of your blood, one of which is to remove excess acid from the body via urine. While food CAN change the pH of your urine, it won’t change your body or blood one tiny bit. Try having a big steak for dinner and, in a few hours, your urine will absolutely be more acidic as your body removes excess acid and protein from the body. Your blood, however, will remain in that nice little alkaline zone. Actually, the pH of urine is a pretty piss poor indicator (if we may say so) of the pH of the body or of your health in general, as it can be easily influenced by many other factors. This is another myth generated by those who are pushing this diet. 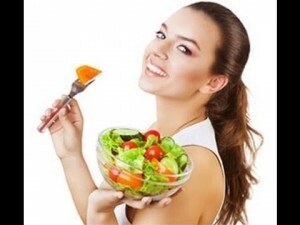 The theory is that high acid diets result in the body removing minerals that are alkaline, such as calcium, from the bones to buffer the acid. The main problem with this theory is that the normal function of the kidneys is completely left out of the equation! Your kidney’s naturally remove acid and regulate the pH of the body. They also produce bicarbonate ions that neutralize acid in the blood, which is one of the main processes that helps the body keep the blood on such a tight pH schedule. Your bones have nothing to do with the process of the kidneys removing acid at all. In fact, if the proponents of this diet had any knowledge of physiology at all, they would know that one of the main drivers behind osteoporosis is the loss of collagen from the bone. This has been linked to low levels of ascorbic acid and orthosilicic acid in the diet. 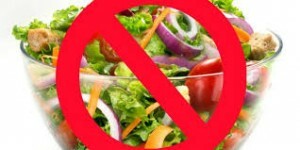 A loss of ACID from the diet, not eating more “alkaline” foods. NO studies which have found any link between dietary acid and bone density levels. 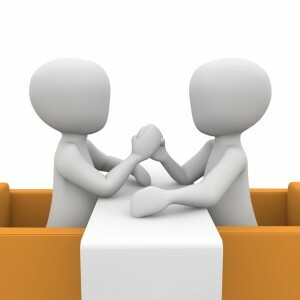 A definite link, however, has been found between high protein (high acid) diets and healthier, denser bone structure. So while we have tried to show you that your diet has no effect on your blood or body tissue pH levels, let’s play devil’s advocate for a moment and let’s assume it does. Even if we could somehow change the pH of the body or blood, cancer cells do, in fact, grow in alkaline environments. Cancer cells are well-known for growing in normal body tissues which have a slightly alkaline pH of 7.4. We hate to say it, but you have been lied to by scammers. 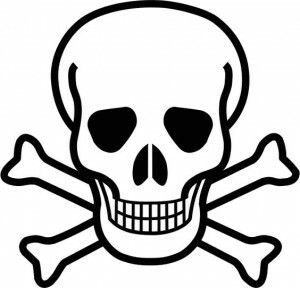 Many experiments and studies have successfully grown cancer in alkaline environments. True story. So while it is true that tumors grow more quickly in an acidic environment, this is because cancer creates that acidic environment, not the other way around. While everyone would like to think that we can simply “eat” cancer away or prevent it, the alkaline diet is a myth that simply doesn’t hold up under scientific scrutiny. However, there is plenty of evidence showing that eating a diet high in fruits and vegetables is the best way to prevent cancer, even if it won’t change the pH of your blood. That is also a true story.